What's not to like about a robot wingman? There's a lot of buzz about the first flight of an unmanned U.S. Air Force drone, designed to accompany manned combat aircraft into battle, that many believe will herald a new age of aerial warfare. Looking at a photo of the XQ-58A Valkyrie, and it's easy to believe that something has changed. Today's drones, such as the MQ-9 Reaper, are goofy-looking airplanes with fat noses, old-fashioned propellers and a cruising speed not much faster than a Cessna prop job. But with its twin tail, curved fuselage and a jet engine that propels it to near-supersonic speed, the XQ-58A looks like a smaller F-35 stealth fighter. This is not your daddy's drone. 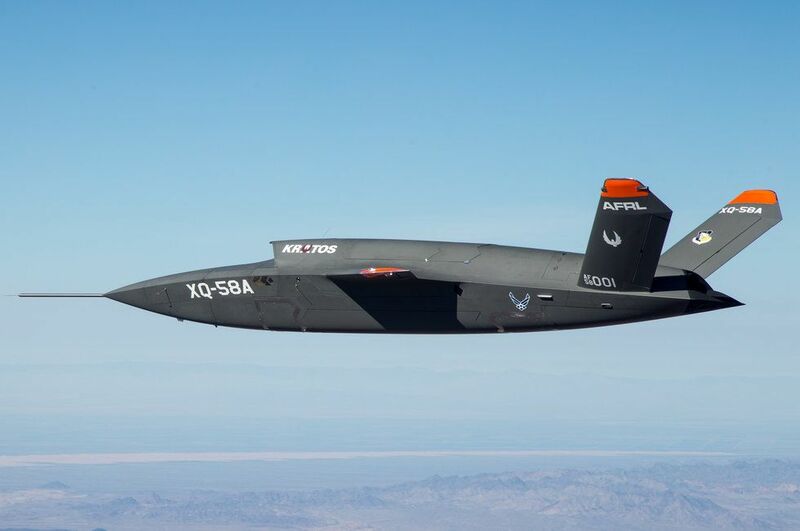 The XQ-58A, designed by Kratos Unmanned Aerial Systems, performed its maiden flight on March 5 at the Yuma Proving Grounds in Arizona. "Developed for runway independence, the aircraft behaved as expected and completed 76 minutes of flight time," according to an Air Force announcement. A total of five flights are planned for the Valkyrie, which is part of the Air Force Research Laboratory's Low Cost Attritable Aircraft Technology (LCAAT), which aims to develop cheap, expendable drones with sufficient performance to pair up—and be controlled—by combat jets. While the Air Force refused to disclose specifics of the XQ-58A, the drone is billed as having long range and a "high subsonic" speed. It is designed to be "runway independent," which suggests it will be flown from rough airstrips and forward bases. Still more clues can be found in a $40.8 million Air Force contract awarded to Kratos in 2016 under the Low-Cost Attritable Strike Unmanned Aerial System Demonstration program. That contract called for a drone with a top speed of Mach 0.9 (691 miles per hour), a 1,500-mile combat radius carrying a 500-pound payload, the capability to carry two GBU-39 small diameter bombs, and costing $2 million apiece when in mass production (an F-35 costs around $100 million). This sounds like a description not of the clumsy drones we have today, but a real Unmanned Combat Air Vehicle, or UCAV. Put another way, this is a true robot warplane. Ironically, Australia may be ahead of the United States with its Loyal Wingman program, in which it is working with Boeing to develop a UCAV. At a recent Australian defense trade show, Boeing displayed images of what the Australian-designed Air Combat Teaming system will look like. Like the XQ-58A, the Australian models resemble stealth fighters. Boeing will develop three different prototypes of the drones, which will be 38 feet long about two-thirds the length of an F-35—and have a range of 2,000 miles. 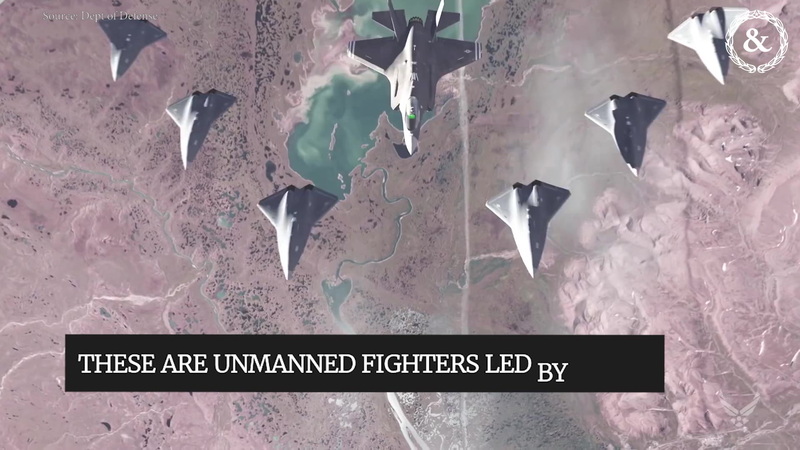 These UCAVs—the first purely Australian-designed combat aircraft since World War II—are intended for Australia's air force as well as export to Australian allies—including the United States. "Loyal Wingman is designed to act as a force multiplier for manned fighters like the F-35A, F/A-18F Super Hornet and E/A-18G Growler, and larger manned aircraft like the E-7A Wedgetail [airborne early warning aircraft] or KC-30A refueller," writes Malcolm Davis, a senior analyst at the Australian Strategic Policy Institute. "Its primary role is projecting power forward, while keeping manned platforms out of harm's way. It also seeks to protect 'combat enablers' like the Wedgetail from an adversary's long-range offensive counter-air capability." "Offensive counter-air" refers to attacks on the sinews of an opponent's airpower, such as destroying airbases and command centers. If Loyal Wingman is designed to stop this, then these drones may end up being air-to-air dogfighters as well as bomb carriers. Yet before we hail the Age of robo-warplanes, there are a few questions that need to be answered. For example, the XQ-58A and the Loyal Wingman drones will be subsonic. While manned fighters don't continuously operate at fuel-guzzling supersonic speeds, they do hit the afterburner when they need to go in and get out fast. So what happens when a manned fighter must operate in conjunction with combat drones that have different speeds and maneuverability? Both the XQ-58A and Loyal Wingman are supposed to be controlled by ground stations or manned aircraft, though Loyal Wingman is also supposed to be capable of operating autonomously (which would be a logical step for the XQ-58A). But this requires overcoming some obstacles, such as reliable communications and a control system that doesn't distract human pilots from flying their own aircraft.